Dispatched from and sold by AO. 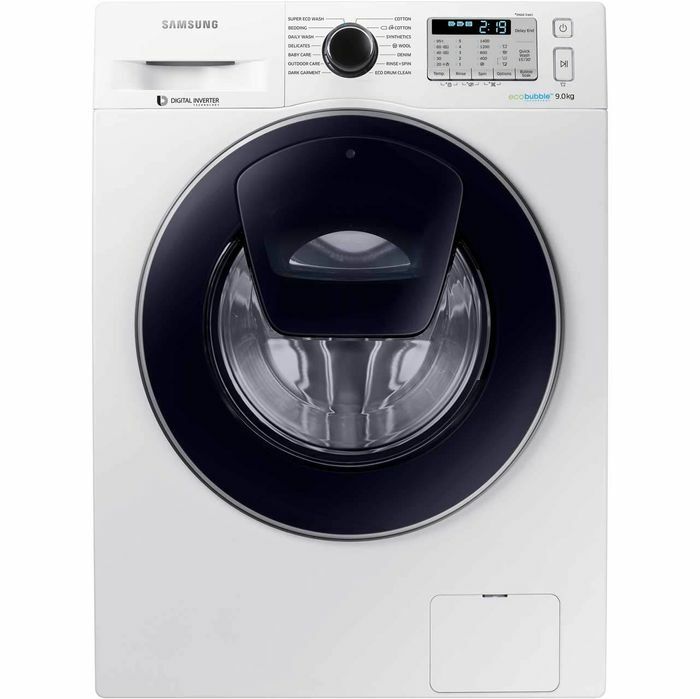 This Samsung washing machine has a large 9kg drum capacity. It’s also really energy efficient with an A+++ energy rating. It has a maximum spin speed of 1400rpm. Plus, with 14 wash programmes to choose from, it will really help you take care of your clothes. This is a great price and would.be ideal for us.. we are forever forgetting to put a sock or 2 in the machine.. with this we could just pop them in whilst its on. Great find. This seems like a really good price. Thank you very much for sharing. This is brilliant, thanks so much for sharing. Always good to be able to get a discount on big appliances like this as it makes such a difference.